When we first noticed/became entranced with ‘Neo Vita’, we hit upon the idea of asking Michel and Rebecca, the owners of ‘t Majeur who had so kindly hosted us for a week of cruising during the year, to take a trip in the middle of winter to view her. 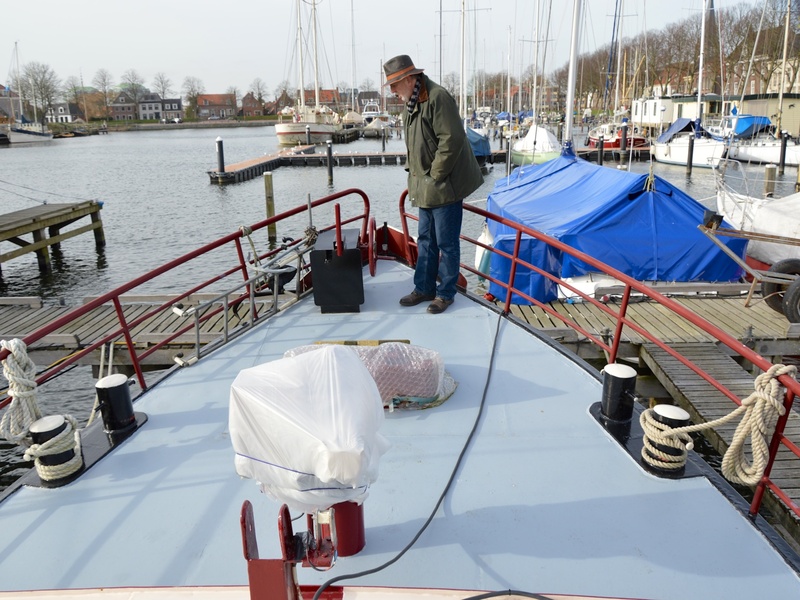 All we could think of to sweeten the deal, was to offer to cover their expenses in travelling from Amersfoort where they were moored, to Medemblik, where ‘Neo Vita’ was moored. In the event, the only expense that they felt they had incurred was a lunch. 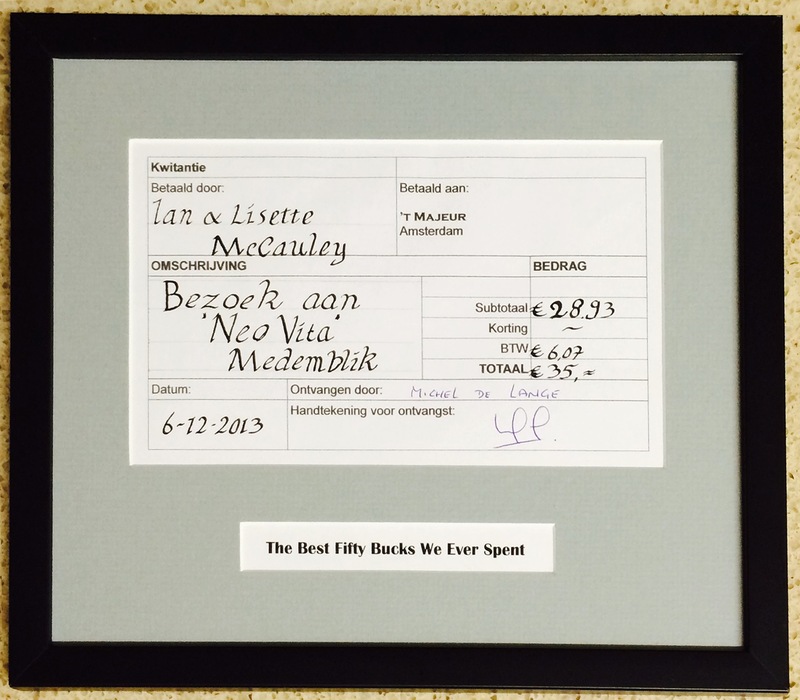 We pressed them on this, wanting to show our appreciation, and they said it was about €35 (A$50). Well, events moved on from there, and we now own ‘Neo Vita’, and in no small part, Michel and Rebecca were instrumental in this achievement. So we insisted, that they take the €35, and that they provide a receipt. 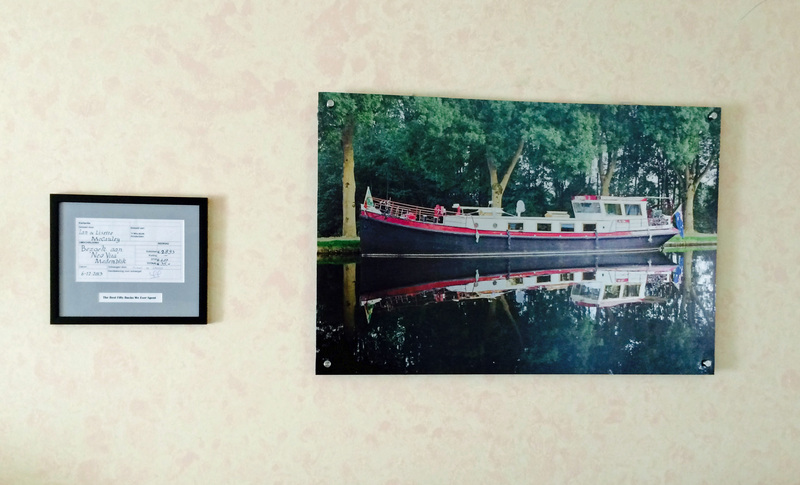 It now sits in prime location on our wall, as a reminder of their generosity, and our good fortune. Truly, while “There Ain’t No Such Thing As A Free Lunch”, there are some lunches that are beyond value. For the price of a lunch (if we catch up! ), we’ll ‘pass it forward’ and be happy to provide the help to get you started. So we’ve now written a full article on the website that covers this stage in finding ‘Neo Vita’, along with some resources that might be of interest to others contemplating the purchase of a barge. Haha never had such a good time earning a lunch. Probably a bit cheaper than a lunch you’ll be able to get in Paris right now.